Two years ago today, the Aquino government signed the OSLO- Joint Declaration with the NDF providing for, among other things, the release of -most if not all- detained to better facilitate the GPH-NDF formal peace negotiations. Until now, the Aquino government has yet to fulfill the commitment, effectively stalling the peace talk’s regular course, and the signing of the Comprehensive Agreement on Socio Economic Reforms (CASER). Once again, by reneging on yet another of its many commitments, the Aquino government has ensured the prolonged fate of the GPH-NDF peace talks. Mean while, it continues to violate with impunity the 1998 GRP-NDF Comprehensive Agreement on Respect for Human Rights and International Humanitarian Law ( CARHRIHL), the first substantive document of the GPH- NDF peace talks. Proof of this is its intensification of Oplan Bayanihan counter revolutionary campaign which has been steadily building up the ranks of among other human rights victims, the unjustly arrested and salvaged, already the KARAPATAN human rights group has documented no less than 430 political prisoner nationwide, of whom 148 has been arrested under the Aquino administration, 129 other activist have been extra judicially killed under this regime oplan bayanihan. I am holding this protest fast from February 20-26, once again call on the Aquino government to fulfill its commitments it free most if not all of the detained NDF consultants as a matter of obligation relative to the GPH-NDF peace negotiations and our people’s yearning for a just and lasting peace. According to Palabay, the harassment, arrest and detention of peace consultants of the National Democratic Front of the Philippines (NDFP) through trumped up charges and inclusion in the bounty list of the Department of National Defense (DND) and the Department of Interior and Local Government (DILG) are clear violations of the Joint Agreement on Immunity and Safety Guarantees (JASIG), an agreement signed between the GPH and the NDFP in 1995,” added Palabay. JASIG was signed by both parties in February 24, 1995. Meanwhile, detained NDFP consultant Ramon Patriarca today started a protest fast until February 26, 2013. Patriarca is currently detained at the AFP Central Command in Camp Lapu-lapu, Cebu City, where he was transferred from the Cebu Provincial Jail in Danao City. Patriarca has been in jail for four years. Patriarca, through a statement, said the Aquino government “is effectively stalling the peace talk’s regular course, and the signing of the Comprehensive Agreement on Socio Economic Reforms (CASER). It continues to violate, with impunity, the 1998 GRP-NDF Comprehensive Agreement on Respect for Human Rights and International Humanitarian Law (CARHRIHL).” CARHRIHL is the first of the four substantive agenda lined up for discussion between the GPH and the NDFP. 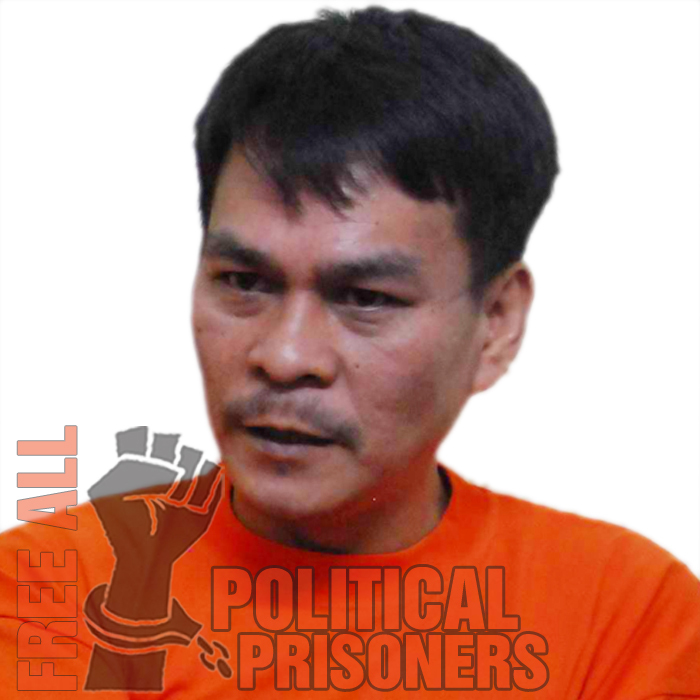 Two years ago, the GPH committed to release most, if not all, peace consultants but until now, Palabay said, there are thirteen peace consultants in detention and Patriarca is being detained in a military camp instead of a civilian detention facility. 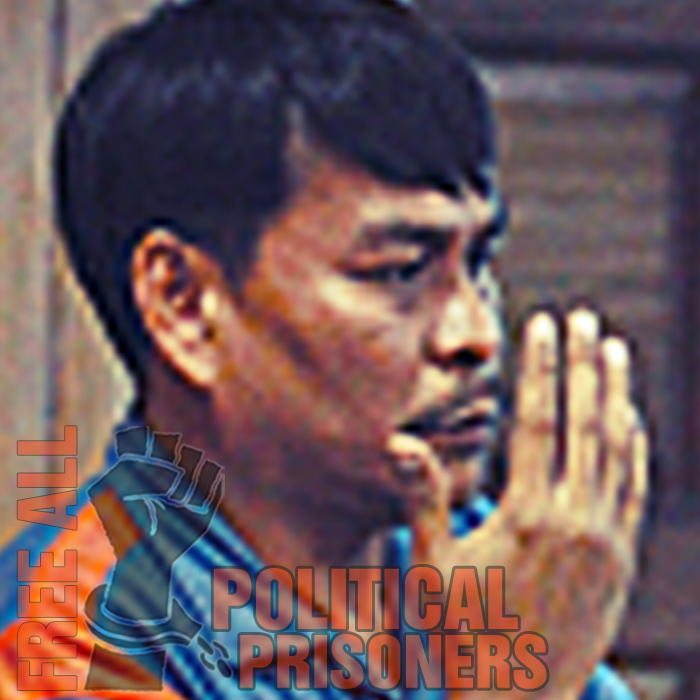 Tirso “Ka Bart” Alcantara was likewise detained for almost two years in a military camp. Karapatan also pointed out the escalating violations of the Comprehensive Agreement on the Respect of Human Rights and International Humanitarian Law (CARHRIHL), with the Aquino government’s implementation of Oplan Bayanihan, has resulted to 137 victims of extrajudicial killings, 154 cases of frustrated extrajudicial killings and 498 individual victims of illegal arrests. “The continuing violations and the prevalent impunity clearly sabotage efforts for meaningful advances in the peace process,” said Palabay. The detained peace consultants are: Alan Jazmines, Tirso Alcantara, Eduardo Serrano, Edgardo Friginal, Eduardo Serrano, Leopoldo Caloza, Emeterio Antalan, Renante Gamara, Jaime Soledad, Danilo Badayos, Pedro Codaste, Alfredo Mapano and Ramon Patriarca. There are also 11 NDF consultants and staff who remain missing under the Aquino government. “If there is any ounce of truth in the Philippine government’s statements expressing willingness to purportedly pursue peace, it should walk the talk. It should, first and foremost, facilitate the release of all thirteen peace consultants and all political prisoners,” Palabay said. The hunger strike/fasting which started last July 16 is on its fifth day. On July 19, some 18 political prisoners in Metro Manila, Agusan del Sur, Cebu and Tagum City heightened their action by going on hunger strike to highlight the call for their release. Five hundred (500) inmates at the Compostela Valley Provincial Rehabilitation Center joined the political prisoners in sympathy. Political prisoners in 10 jails throughout the country have joined the hunger strike/fast. The UCCP Bishops said they are “compelled to amplify” the on-going hunger strike of political prisoners in the “face of such callous dismissal by the Aquino Administration”, referring to the earlier pronouncement of Malacañang that “there are no political prisoners” in the country. In a separate statement, NDF peace consultant Ramon Patriarca criticized the Aquino government because “it has not done enough to comply with its commitments in the many bilateral agreements it forged with the NDF. One cannot but suspect that the June 15 Oslo initiative was meant only as another ‘pogi point’ for the president’s State of the Nation Address (SONA) or, as a mere posturing preparatory to ending altogether the GPH-NDF peace negotiations consistent with his Oplan Bayanihan counter-revolutionary program.” Patriarca is a political prisoner at the Camp Lapu-Lapu, AFP Central Command headquarters in Lahug, Cebu City. He is among the political prisoners who are on hunger strike.